Founder and President Jacob Borg cuts the ribbon on the new center. Pointe Pest Control celebrates a decade in business this month by relaunching PointePEST.com. 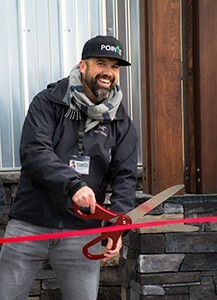 On March 24, it also hosted a grand opening and ribbon-cutting ceremony at its new Regional Contact Center, located at 6020 West Seltice Way in Post Falls, Idaho. 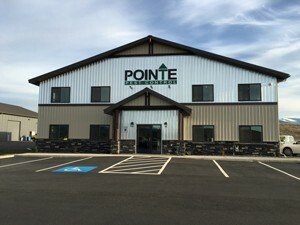 Founded in 2006 by Inland Northwest resident Jacob Borg, Pointe Pest Control has grown from a single office in Spokane, Wash., to multiple locations throughout Washington, Idaho and Oregon, employing more than 50 full-time team members. The company gives back to its communities through a number of avenues, including an annual scholarship program awarded to graduating high school seniors in Washington, Idaho and Oregon. Pointe also conducts an annual charitable bed bug treatment program called “Take a Bite of the Holidays,” performing a complete treatment for a family in need.